For the past few weeks I have been savoring Michael Pollan’s Cooked, page by fascinating page. Pollan, a slightly eccentric barbequing, braising, baking, fermenting wordsmith, has not only researched and tried many of the traditional practices our family enjoys, but has written about them in magnificent prose. From real Southern barbeque to the perfect loaf of bread, and from the umami of braising to the countless varieties of bacteria that give us yoghurt, sauerkraut and alcohol, Pollan blends ideas about health and scientific research with earthy details. History, economics, Freud, and mythology are balanced with surprising insights into sourdough, pork, onions, industrial food, alcohol, and, continuously, evolution. This mix of ideas is as heady as the champagne he discusses. Cooked: A Natural History of Transformation is organized around the four ancient elements of fire, water, air, and earth and how they are represented in food preparation. In each case, Pollan learned from an expert in the field. Southern barbeque masters taught him about using fire, and he has become the kind of guy who roasts a pig on his front lawn each year. After spending many Sunday afternoons with an expert cook, he now often spends hours winter weekends preparing delicious food for his family. Visiting a miller and working with bakers, he became obsessed with creating the perfect loaf and still occasionally mixes writing with baking. And, whether he ferments kimchi or beer (not raw cheese, mind you), he now values the bacteria, both in his food and in his gut, that, somehow, give health. Cooked is as much about the transformation of Pollan, the cook, as about the transformation of the food he prepares. I was hoping to hand this book to my young teens to excite them about the endless possibilities in cooking, but I will not. While I do read sections aloud, at times Cooked is too earthy for them. On the other hand, my husband, who has patiently listened to many paragraphs excitedly read aloud, is looking forward to reading this book on his vacation, recognizing a kindred spirit and probably longing for a debate partner. Although Cooked will not work as a homeschooling curriculum for young teens, it can affect the whole family’s learning if parents read it. Not so much because of the recipes, for there are only four, but because of the food concepts, the intriguing opinions, the many rabbit trails, and, last but not least, the perfect example of how evolutionists explore ideas. It is quite as fascinating to see Pollan explain the history of food preparation in terms of evolution as it is to understand that history itself. As in my graduate studies of gene expression, evolution is nearly (not quite!) personified, so that one can almost replace the theory with the Deity, as Pollan himself once hints. Older homeschooled teens could benefit hugely from seeing how pervasively the concepts of evolution are applied. I highly recommend Cooked to anyone who wants to explore how food, individuals, society, and nature are transformed by the simple act of food preparation. The Author of these transformations has, unknown to Pollan, given him the gift of explaining them lucidly and profoundly. My heartfelt thanks to both of them. This is yet another book in the 2013 52 Books in 52 Weeks Challenge and is also linked to Saturday Reviews, Encourage One Another Wednesday, Works for Me Wednesdays, and Raising Homemakers. Although it is not only about science, this is the kind of book I would recommend for your teen’s science and math reading. Disclosure: I received a review copy of Cooked from Penguin Canada. As usual, no compensation was received, and my opinions are my own. Posted in: 52 Books in 52 Weeks, Health, Kitchen, Reviews, Reviews: Nonfiction. I LOVED your post on this book. You write beautifully. I have enjoyed another title by Pollan and was intrigued by his evolutionist take on a few things. I’ll be looking out for this one. Nice review! I have not read this book but have enjoyed other writings by Michael Pollan. My son is only 8, so I hadn’t yet thought about his reading these books, although I have told him some of the more interesting or relevant things I learned. In The Omnivore’s Dilemma, I was uncomfortable with how strongly Pollan stated his “need” to drink alcohol; because I developed an apparent allergy to alcohol in my late 20s, it’s no longer a part of my life except for Communion, and I’m sometimes startled by the way other adults talk about drinking–imbibing a potentially deadly poison, for fun!–and I want to be careful about the messages my son gets about it. The Botany of Desire, an extremely fascinating book, includes a whole chapter on marijuana and some speculation on the sexual preferences of Johnny Appleseed, so that’s at least a PG-13 book! I agree that Pollan’s way of writing about plants and food really brings out the sacredness, the feeling that all the amazing science that underlies these phenomena is a miraculous gift to us. I’m one of those Christians who believes that evolution IS God’s plan and that our ability to manipulate evolution is (like our ability to decide when to create children) one of those amazing responsibilities that God partially shares with us so that we have the opportunity to use the free will, intelligence, and moral guidance God gave us to make our world a better place–but it’s also an opportunity to screw things up, if we make the wrong choices. 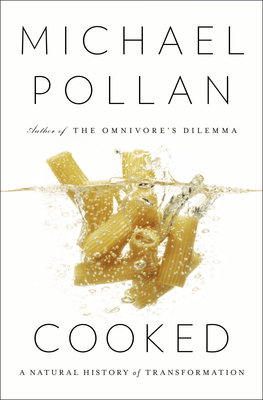 I like the way Pollan writes both about things that have gone wrong in the way human societies manage food and about new directions that give us hope.